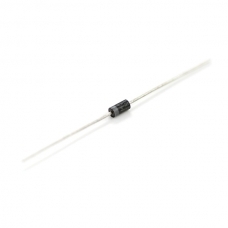 Description: This is a simple, very common rectifier diode. Often used for reverse voltage protection, the 1N4007 is a staple for many power, DC to DC step up, and breadboard projects. 1N4007 is rated for up to 1A/1000V.